Whether you are a pro or newbie Slowpitch softball player, the chances are that you already know about Easton as it is one of the leading manufacturers of bats. The quality of this softball bat shows just why they are famous and it is a two piece that use CXN Technology to eliminate vibrations. It is an all-association bat with Advanced IMX Composite Barrel, SIC Carbon Composite handle, HYPERSKIN Grip and end-load weight distribution. 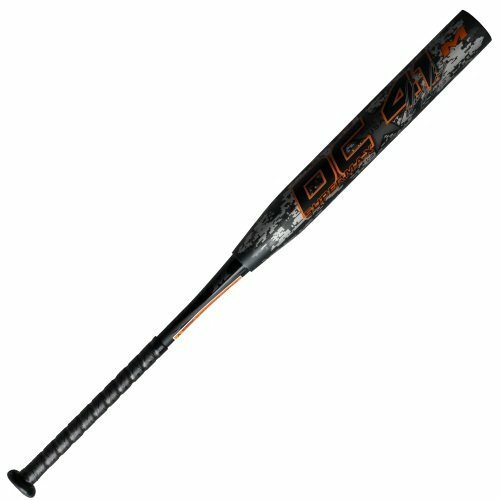 Tournament Approval: This bat is all-association as it has approvals from several bodies including USSSA, ASA, ISF, SSUSA, ISA, and NSA. Barrel: Its barrel is 13.5 inches in length, and it has a diameter of 2¼ inches, and this makes it standard size and hence suitable for most players. CXN Tech: Easton uses the modern CXN Technology in connecting the two pieces that form comprise this bat. This technology is an important feature in its construction because it not only helps to maximize energy transfer to the barrel but also eliminates vibrations. Weight Distribution: It is an end-load bat that ensures that there is more mass on the barrel and this gives batters extreme power and impressive distances. Handle: The handle of this bat is a SIC Carbon Composite, and it optimizes the stiffness to give it extra strength and to improve the feel. This handle is also thin (29/32 inch), and it has an HYPERSKIN Grip. Design: It is a two piece bat, but it has minimal vibrations and sting due to the technology that the company uses in the connection. The ball comes off the bat with an excellent spin. The bat feels good and comfortable in your hands. 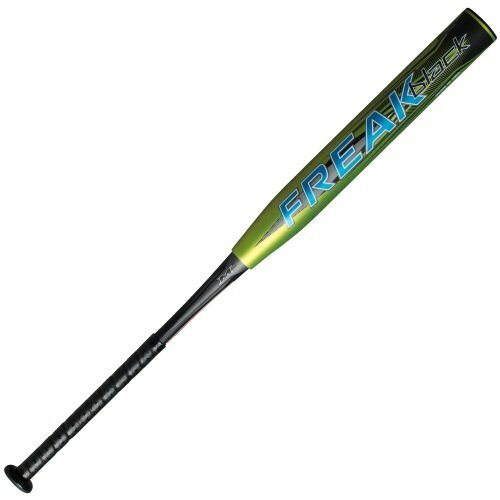 This bat is hot of the wrapper, and so it requires minimal break-in. It gets better with every swing that you make. This Easton bat also has a large sweet spot that is quite easy to locate. You can use it in most tournaments as it is an all-association bat. Grip has no vibrations or shocks, and it feels great. The handle seems to be low quality and prone to damages. Graphics are okay, but they would be better with a little improvement. The end-load might be too much for contact hitters. Some customers complain about the durability of the bat. It is quite an expensive bat. Easton is famous for producing some of the best softball bats for both Slowpitch and Fastpitch. The Bomb Squad ranks very highly not only among their bats but also when you compare it with others from various companies. It has an amazing pop, and it is hot out of the wrapper meaning that it will not need a lot of breaking-in. But, these merits are not the only things that make it worth buying. It also has a massive sweet spot, approval for use in all tournaments, an excellent spin and it also feels fabulous on your hands. However, you should know that it is quite expensive and some customers complain that the end-load is too much and the handle is also not very high quality. Even if you take all these factors into account, the bottom line remains that it is a top-notch softball bat.